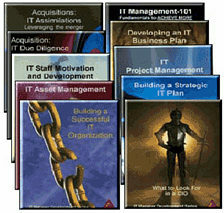 In my last post, I discussed the importance of project management in creating IT credibility. You won’t be credible unless you deliver projects successfully. Period, , , end of story !!!! 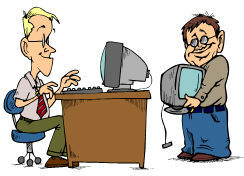 My company mission is to “help IT managers of the world achieve more success”. 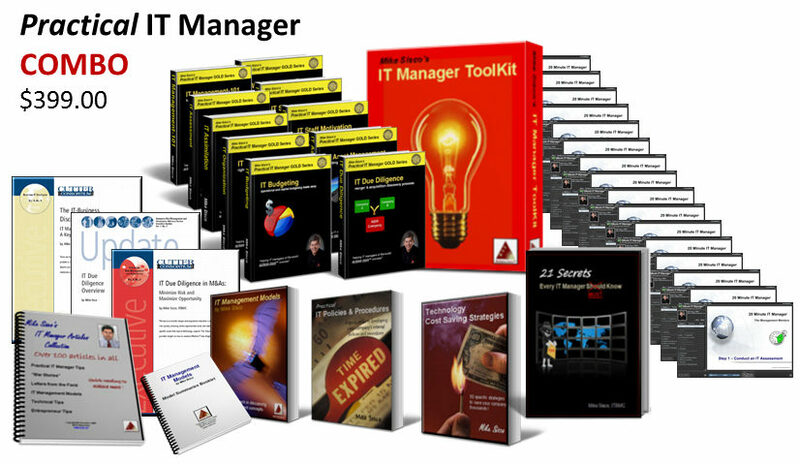 The very first thing I did in this effort was to write a few books (10 actually) to provide insights and tips on things that actually help you achieve more success as an IT manager. 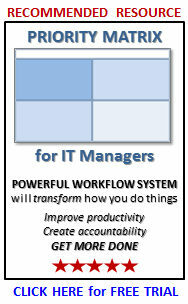 One of the keys is to deliver projects successfully, , , so naturally, there is a book on project management. Delivering projects successfully is so important. The book is based upon my experiences in delivering projects successfully, , , both as a young IBMer and later as an IT manager and CIO. 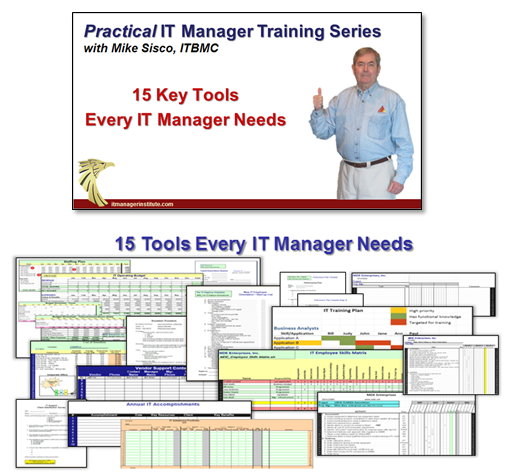 IT Project Management: a practical approach is straightforward and includes the simple process I use and the tools to help you deliver projects successfully. It also includes insights and tips from my experiences that will give you an advantage or edge, , , something we all need. Short, straightforward, practical, , , and to the point. That’s what we want so that’s how I wrote this one. It is one of my best sellers. Buy the e-book for $29.95. 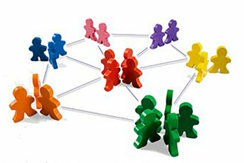 When you communicate with your client whether it is senior management or department managers, you need to “net it out”. What I mean is that you need to give them the bullet points, , , the answer, , , the abbreviated or abridged version, , , , , , , , , , not the paragraph, highly detailed version. Business people start turning you off within two to three minutes if they hear lots of detail, , , and especially if they hear “technology”. Senior managers want the answer. If they need more detail, they will ask questions and get to the detail they need. Middle managers of business are similar although many can be a bit more detail, , , but when it comes to technology, they don’t want to hear very much about how, , , only why we need the things you are recommending. “What’s in it for me?” That is the question you need to answer as you communicate with business people. The challenge we have as IT professionals is that because we are so detail oriented, we think others want and need to understand the detail. They don’t usually want it, need it, and are usually not interested in all the detail. You are wasting your breath when you discuss many of the things in technology at a detail level and you are wasting their time. Give them the answer and be prepared to discuss the issue at lower levels as needed. Upon finding out what he is talking about and where he is coming from, I have to explain why our number is not as good as what he read in Delta Magazine. 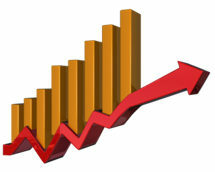 When you see an industry average of anything, you have to remember, , , it is an industry average. What this means is there are many companies who will have much better numbers and there are many companies who will have worse numbers. Having a worse number than an industry average does not necessarily mean your IT organization is doing a poor job. You can have a worse number than the industry average and actually be doing a better job than someone who has a much better number. You have to understand the situation before coming to any meaningful conclusion. Every quarter Tom Mochal and I meet to discuss our two companies. Often, we have others join us who can contribute to the process. This time, Tom and his wife visited us at Camp Liberty and spent the night on the Buffalo River. It’s important for you to collaborate your strategies with others and hear their feedback. It’s not always the feedback you want to hear, but you need to listen closely to what others think of your ideas. Honest opinion from those you trust is extremely valuable, , , and your strategies will be better because of it. It’s also important for you to hear other strategies, especially if they have a similar business as in the case of Tom and me. 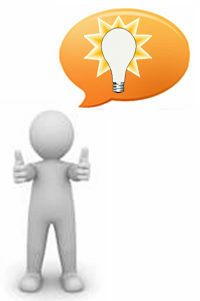 Listening to other people’s strategies and ideas can be a great catalyst for your own thought process. I can’t tell you how many times the light bulb has turned on in my head with a new idea when discussing something in these meetings. It happens at least once in every meeting. 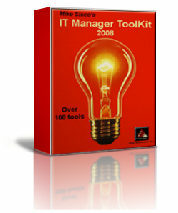 Our 20 Minute IT Manager product concept was spawned in such a meeting way back in 2005. After developing the idea, Tom and I developed weekly training sessions for three years, , , 162 of them as a result. CLICK HERE for info. In this weekend’s meeting, Tom and I decided to revive the 20 Minute IT Manager and develop more sessions for our audiences. You will see our announcement soon, , , we plan to begin releasing new sessions in June. I was about to write a post about the big hail storm that hit us while spending time at our Camp Liberty today, but my wife probably does a better job so take a look at her post. 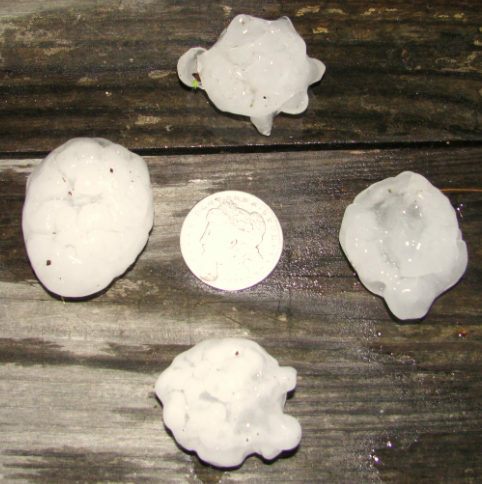 CLICK HERE to see her story and photos of the tennis ball size hail that fell from the sky, , , thought it was coming through our cabin’s tin roof. All I can tell you is that it was incredible !! Her photos tell some of the story, , , here is one of them. Hail next to a silver dollar. The good news is that we got a couple extra days to send in our tax forms this year, , , the bad news is that the IRS still wants our money. When you have to pay more, you tend to wait until the last minute to send in that check, , , that’s why I spent time today getting the final numbers from our accountant and mailing in my check. Hate this part every year, but glad to be able to do my part. It wouldn’t bother me at all except I see so much waste in our government, , , it seems to happen pretty much in every government from what I can tell. One of the best examples I can give you is a little road project at the entrance to our subdivision. The entrance sits in the middle of a sharp curve and there have been several accidents there over the years. OK, OK, , , I apologize, , , I’m in a bad mood due to having to write that check earlier today. Even though it’s a pain, , , I’m fortunate to be able to make a good enough living to require more tax from me. I knew a rich man one time who looked at this issue in a positive light. He was glad he made so much money to require such a hefty tax bill. 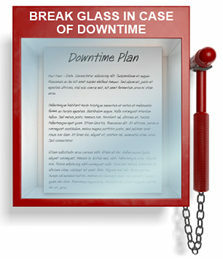 In my last post, I discussed the need to have a “downtime plan”. Part of your downtime plan should include an Escalation Procedure. As I mentioned in my previous post, I like to assign responsibility of key technology support components to an “Expert”, , , the person I want to empower to own that particular area of support. In the post, we identified e-mail as one of these areas. Another key area is telecommunications or your Wide Area Network (WAN). When a remote office loses connectivity, your team needs to resolve this issue as quickly as possible, , , your company loses thousands of dollars in lost productivity every hour the remote office is down. To minimize your downtime and the impact it has, you need an escalation procedure that kicks in as soon as we know an office loses connectivity. Problem ownership is clearly defined and specific communications to managers and vendors are spelled out. We have a point person in IT and also in the remote office that has lost connectivity. The point people identify themselves to their manager and make them aware of the problem and advise as to what the status update procedures will be. In this escalation procedure, we have time limits set up so additional steps are put in motion at 30 minutes, 1 hour, 2 hours, and every hour after until the problem is resolved. A big part of your escalation procedure is keeping management informed. When you have a formalized escalation procedure, everyone knows who will be providing status updates and when. Keeping your client in the loop and out of the dark is key. 1. 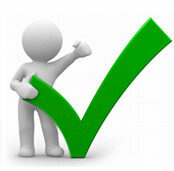 Assign “Expert” responsibilities for the technical support areas you deem important. 2. Have your Experts identify possible situations that need an escalation procedure. 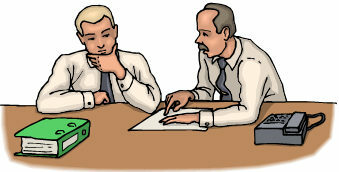 3. Review and agree on the set of issues needing escalation procedures. 4. 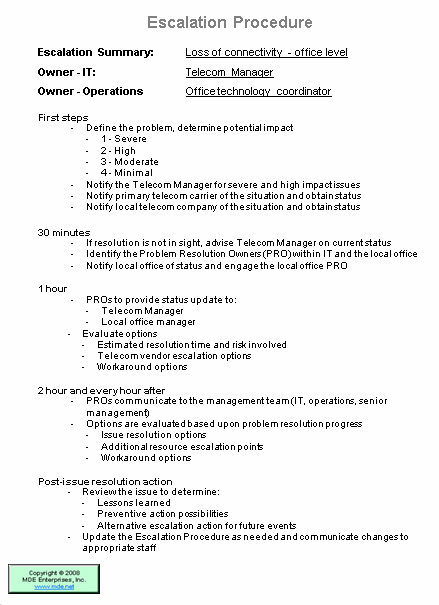 Have your Experts develop a first cut draft of the troubleshooting and escalation steps that should take place. 5. Review the procedures and fine tune them with your Expert. 6. 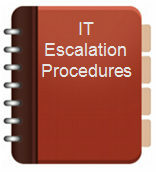 Create an Escalation Procedure Binder and add completed procedures as you develop them. Your escalation procedures do not need to be lengthy or complex, , , in fact, your goal should be to keep them to 1-2 pages and simple. If you focus on this and distribute the work to several Experts, you can create a binder of a dozen or more escalation procedures in a week. You may want to distribute them to affected managers of the company and communicate what they are and how to use them; I would certainly share them myself, but it is your call as to whether you want to. The key is that you are providing managers with information so they know what will be taking place in the event of a problem, , , i.e., what you are doing to resolve the issue. IT still retains responsibility to resolve the problem. Putting escalation procedures in place demonstrates to others that you are organized and thinking proactively, , , strong images for your clients and senior managers to see in their IT organization. Do you have a downtime plan? Technology will break, so sooner or later you will have to deal with downtime. Will you be prepared when it occurs? Waiting until downtime occurs is not the time to start thinking about how to troubleshoot the issue. It’s much better to have an idea of what to do when this issue comes up. One of the things you should consider is to appoint an “expert” for each of your key technology support areas, , , things like e-mail, telecom or WAN, each of your mission critical business applications, intranet and internet access, etc. A key responsibility of each Expert is to define the potential downtime issues that can happen for his technology area of responsibility. For e-mail, it would include things like virus attack, server failure, power outage, etc. Once the potential downtime issues are identified, the next step is to develop escalation procedures to troubleshoot and resolve each of the issues when and if they occur. Proactively looking at these issues and developing a downtime plan to attack the problem when it occurs puts you in a much stronger support position, , , and helps you sleep better at night.